Amazon is a global retailer with products in virtually every legal category. Their Amazon Associates program is an excellent choice for all bloggers to join, including the travel niche. The site itself has a fantastic reputation and the program easy to join. While most of the affiliate programs you will use are more closely related to your travel niche, that is not the case with Amazon. Linking to the products sold by Amazon that you use or are recommending is only the start of the money you can make via your affiliate link. When a person goes to the site through your link you will receive a commission for everything that the person purchases. Once they have arrived at the site via your link, there are millions of additional products they can put in the cart, increasing your profit! The sign up for the program should be aimed at your target market. If your primary readership is in America, India, or another geographical location, be sure that you utilize the correct program to maximize your benefits. Your commission funds from Amazon will vary depending on the product department, your overall sales and your referral statistics. Proper use of this program can be quite lucrative. Of course, your eggs should be in multiple baskets, including Booking.com if you are a travel blogger. This is one of the biggest names in the travel industry and the company has an excellent reputation with consumers and affiliates. Joining the program is incredibly easy if you already have an established blog. Booking.com has a fantastic affiliate program with detailed statistics. It is easy to understand and follow, with commissions higher than many of their competitors. Their listings include a wide range of lodging and travel options, from affordable hostels to luxurious resorts. The amount you can make only rises as you get more people to utilize these accommodations. You are provided with multiple customization options to keep the information and properties relevant to the reader. Agoda is a member of The Priceline Group, just like Booking.com and has earned a stellar reputation as well. Their site lists close to a million properties in more than 100 countries around the globe. You can customize your information to specific languages and currencies when utilizing your affiliate membership. The high level of customer service provided by the agency gives them some of the highest conversion rates in the business, a boon to you and your use of their affiliate program. 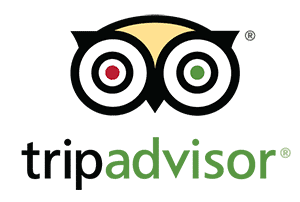 You can join the TripAdvisor Affiliate Program through Commission Junction and receive a payment each month for the customers you send their way. Real-time reporting is available on the website so you will always know exactly how you are doing. This trusted company provides a 50 percent commission rate and incentive programs to help affiliates make the most of their efforts. Check out ShareASale to find out the top affiliate programs right now. 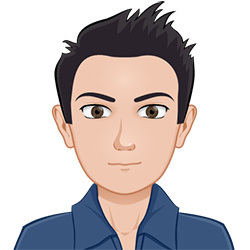 This is an excellent website that is continually updated and is a useful resource to anyone interested in becoming an affiliate marketer. You can join their marketplace and make a significant income. Many find that it is easier to use than working with individualized in-house affiliate programs. You can compare the statistics for the affiliate programs with a thorough user interface. Being bold and going on the road to blog and travel is a wonderful way to see the world, meet new people and expand your horizons. By using affiliate programs on your blog, you will be able to fund your travels for as long as you want to. Make sure that you take the time to enjoy the trips and immerse yourself into the cultures you encounter. This will allow you to give a great view of what the place is like. Whether your blog is aimed at teaching people how to travel on a shoestring budget or a tour of the most luxurious resorts you can find, you will need to have excellent photos and content to share. If you craft interesting blog content and have bright and beautiful images that will entice your readers, you will grow a significant and dedicated readership. From that base, you will grow your affiliate marketing profits over time. Stay patient and check out what other successful travel bloggers are doing to remain inspired. However, you should always follow your own path. Enjoy your travels and the money you make from your endeavors!